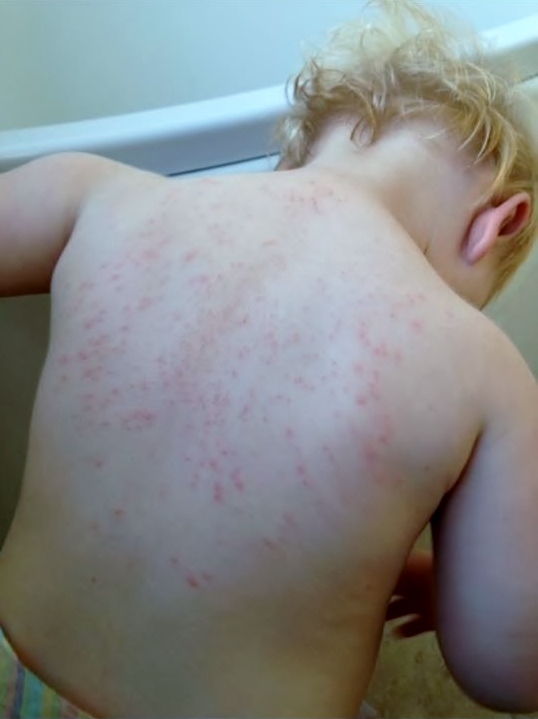 Eczema is dry, itchy, flaky, red and inflamed skin (and sometimes worse). It is largely a chronic condition meaning that it is long-lasting and can be controlled but not cured. So what can we do for eczema, and why do people suffer with eczema? I believe it has a lot to do with the gut. If we don’t have good gut health then the toxic overload is too much for our bodies and the skin will try to help by excreting those toxins. Remember that the skin is an outlet as well as a protective barrier and receptor. So cleaning up diets, eliminating processed foods, sugar, caffeine etc. and increasing the intake of vegetables and water is going to have a profound effect in the long term. I think we all have room for improvement with our diets! But in the shorter term something is needed to apply to the skin to reduce the symptoms and give relief. This is particularly true for children whom are a large group of atopic (hereditary) eczema suffers. Any petroleum-based products are not going to do this. The skin might feel soft and moisturised initially but after continued use the product will block the skin’s pores, causing imbalances in the skin’s natural equilibrium and resulting in even more problems. NYRO baby balm. This balm protects and calms the skin with a combination of gentle, moisturising ingredients, including olive oil, coconut oil and shea nut butter. Apply as required to affected areas. One mother kindly shared these amazing photographs of her daughter’s eczema, before and after using the NYRO baby balm for 6 weeks. For small patches of eczema or dermatitis, consider the NYRO Stellaria Cream which is fabulous at reducing itching. Chickweed, a traditional herb renowned for cooling and soothing itching or red skin, is the active ingredient in this formula. Another fantastic product to try is the anti-inflammatory and deeply soothing Calendula and Oat Lotion, which is suitable for extreme dryness and sensitive skin. One particular customer has experienced great success with seemingly uncontrollable eczema by the daily application of organic virgin coconut oil. The Neal’s Yard Remedies coconut oil is raw, unrefined, unbleached, and processed without heat to retain its unique balance of nutrients. Applied directly to the skin, coconut oil makes an extremely effective conditioning treatment, gently soothing dry, sensitive skin or scalps. As a reflexologist, I am very much aware of the power of stress and what it can do to the body. If you are suffering with eczema it could be exacerbated by stress, or vica versa. A course of reflexology might help the situation, calming the sympathetic nervous system and in turn stimulating the parasympathetic nervous system and allowing the body to regain a state of relaxation and homeostasis. During the reflexology sessions particular emphasis would be paid to specific reflex points, particularly those of the digestive system, endocrine system, lymphatics and immune systems. In Traditional Chinese Medicine (TCM) the lungs are linked to the colon; they share the same meridian. This ties in with the commonalities between eczema, asthma and hayfever, and highlights another reason to look to improve digestive health. They are both organs of elimination. Along with a cleaned-up diet, a cleansing and healing supplement such as aloe vera juice and/or beauty oil might also be used to help with the healing and replenishing process. Aloe vera juice is an excellent digestive tonic. Beauty oil is a blend of avocado, hemp, flax and evening primrose oils. Previous Are you being greenwashed?